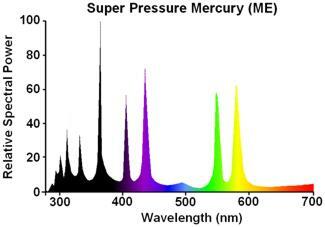 Owing to the very high luminance of the high pressure mercury arc, these light sources soon became very popular for projection applications where colour rendering was not a great requirement. 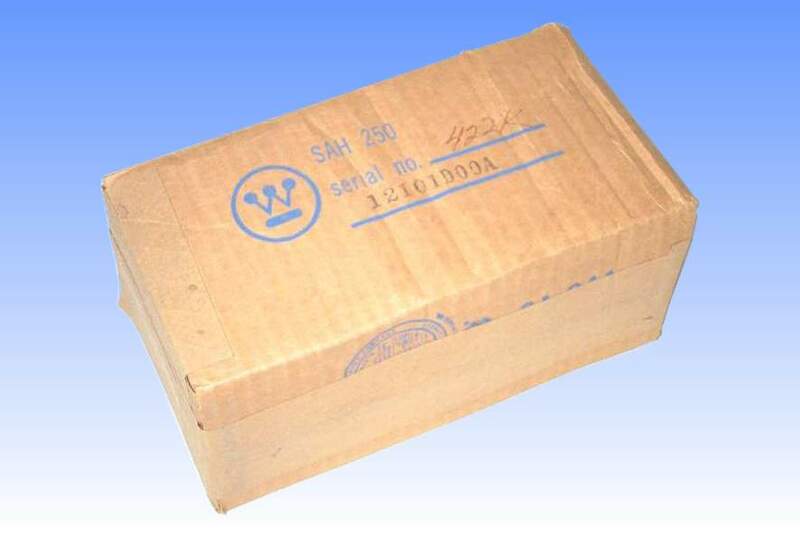 The intrinstic brilliancy and stability of the arc could further be enhanced by DC operation and Westinghouse manufactured this popular SAH-250B for that purpose. Its primary application was in American comparators manufactured by Jones & Lamson, being suitable for the models FC14, TC10, Epic 30 and Epic 220. Projection microscopy and ordinary image projection were catered for by the SAH-250A which was an AC lamp that was entirely suitable for these less demanding applications. Constructionally both lamps are virtually identical - the only difference lies in the electrodes. 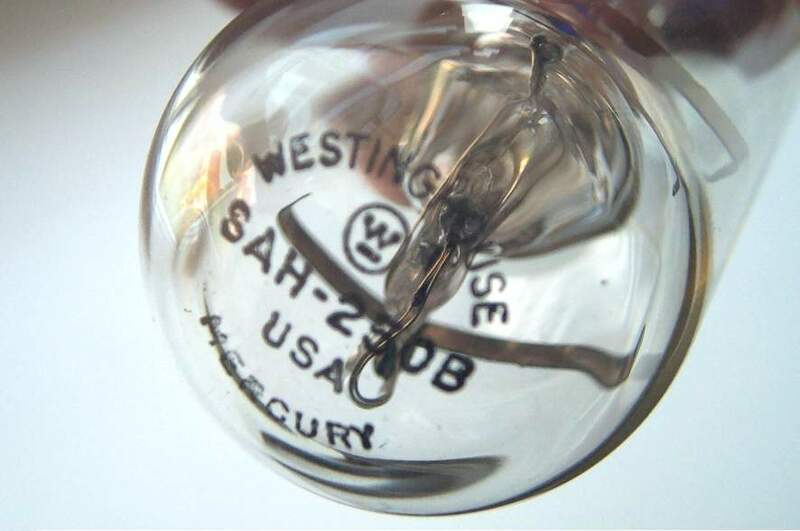 The AC lamp employs electrodes substantially the same as for ordinary high pressure mercury lamps, whereas on the DC model shown here, one electrode has been fused to form a bead at its tip. This allowed it to handle the greater heat that is always present on the anode electrode. A platinum coating behind this electrode serves to conserve heat. 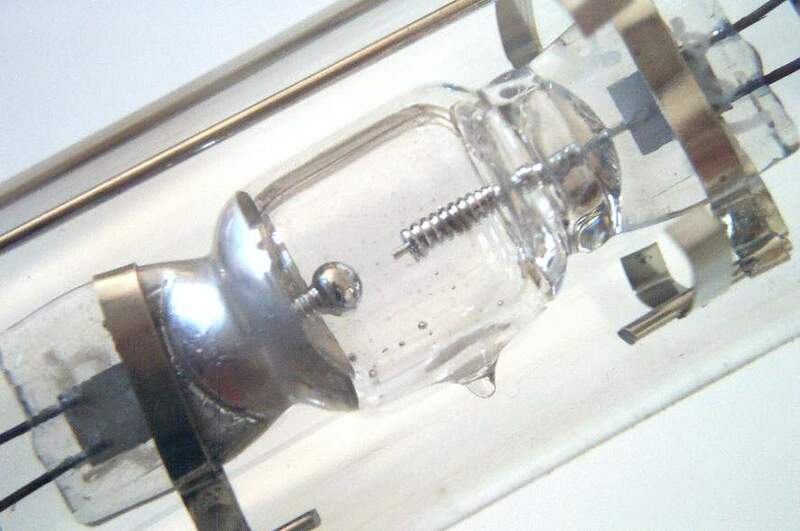 Note also the great thickness of the quartz arc tube in this lamp. 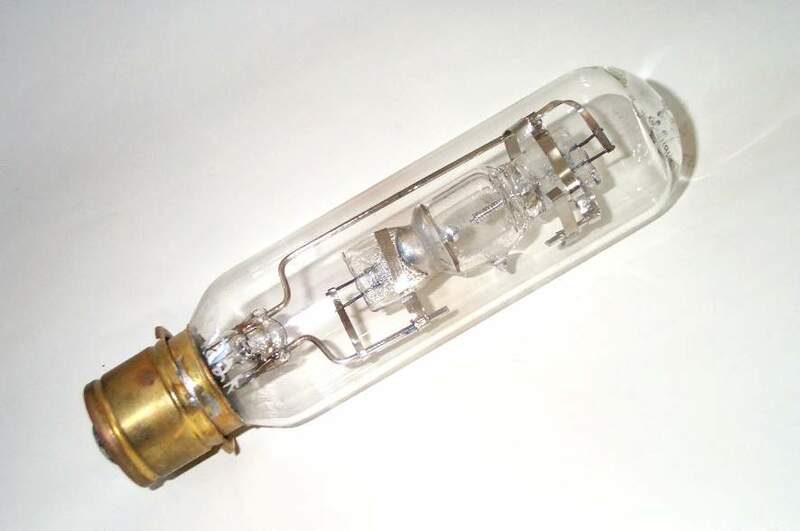 Its operating pressure is many times higher than ordinary mercury lamps, this serving to improve the brilliancy of the arc and also to improve the spectral output of the lamp by line broadening. The arc tube is sealed into a T12 hard glass outer bulb and is capped with a standard medium pre-focus base, so that no optical alignment is required when replacing lamps. An ST101 getter serves to remove hydrogen from the outer. Factory: Bath, New Hampshire, U.S.A.
References: 1) Philips USA Lamp Catalogue, 2002.